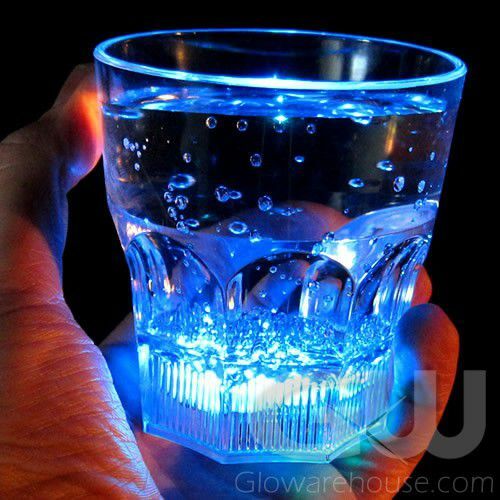 - Cool and Sophisticated Light Up Rock Glasses! - Classic 8 oz "Old Fashioned" Style Glass! - Night Clubs! 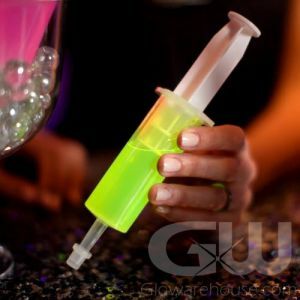 Extreme Glow Parties! Special Events! 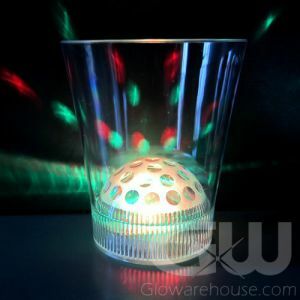 Let's make tonight one you won't quite remember except for the brilliant colors of the Multi Color Light Up Rocks Glass! 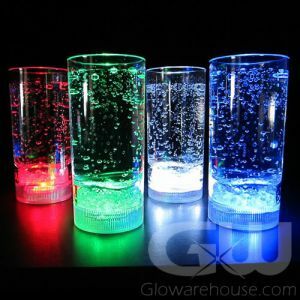 A simple push of a button makes the magic happen: and everyone's drinks suddenly turn into colorful light shows! 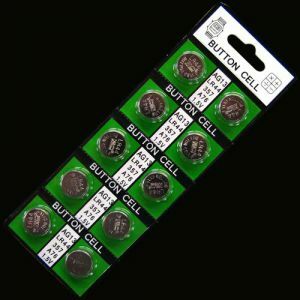 And with 8 different colors and the color changing Rainbow setting to choose from, everyone will be able to light up with their favorit color. 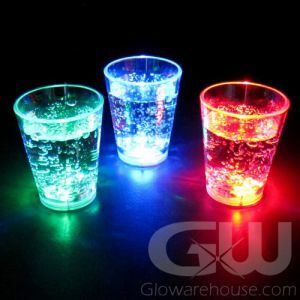 The Light Up Rock Glasses are a classic "old fashioned" style whiskey glass that traditionally serve an old fashioned, but these glow in the dark cups look great with any drink, from gin & tonic to cream soda! The Lighted Rocks Glass is perfect for any special event, celebration, or party, such as weddings, banquets, barbeques, anniversaries and bar mitzvahs! 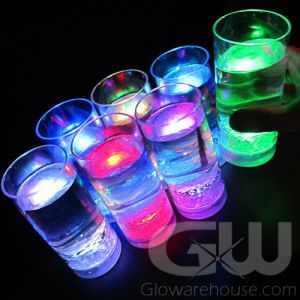 Super-charge your party with good times with Light Up Rock Glasses from Glowarehouse.com!